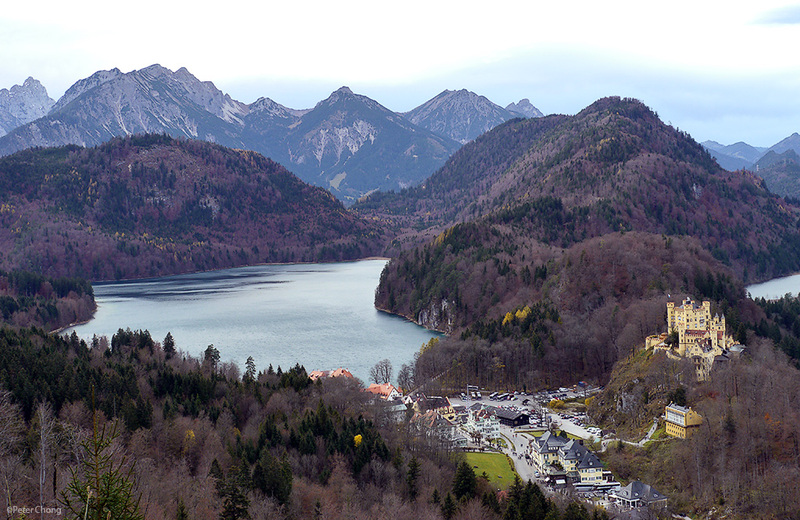 The German Alps, just about 2 hours by train from Munich is a magnificent mountain range...and within lies the tale of a strange monach, who instructed his people to build a magnificent castle playground rising out of stone, within the majestic landscape of the mountains. The castle is none other than Neuschwanstein...or translated to new swan stone. Built by King Ludwig II of Bavaria in the early 1900s, it featured the then new electric lights, and would glow in the evening, after dark when viewed by the villagers below. Amazing. Click on image for a larger one. The photograph is a stitched from 4 vertical images, and taken from Marienbruck, just behind the castle. The castle looks small in this photograph, and that is the idea...though the building is anything but small. The castle was Walt Disney's inspiration for his trademark for Disney cartoons...where the fairy appears from a fairy tale castle. 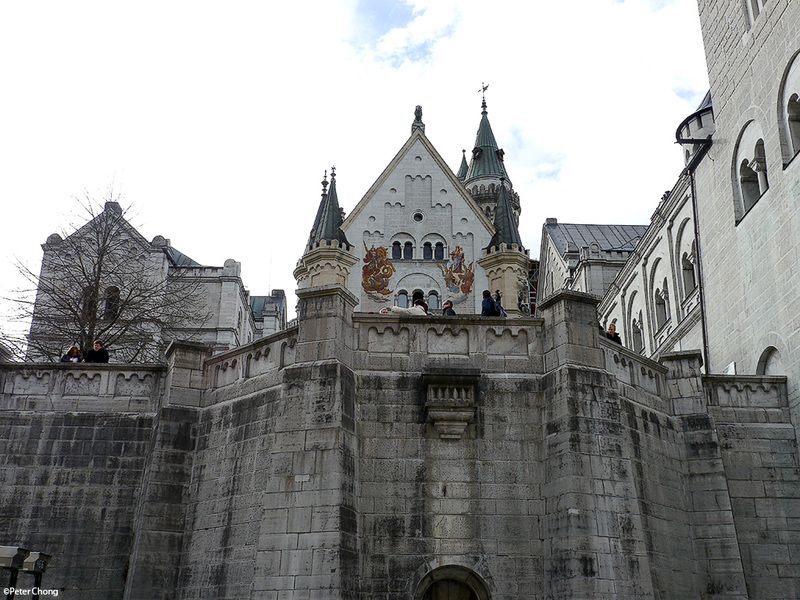 A closer look at the castle. And from the valley, from the lake, looking onto the Alps. The castle is a candidate for the UNESCO World Heritage Site status.